Are you looking for a permanent solution for living off the grid? 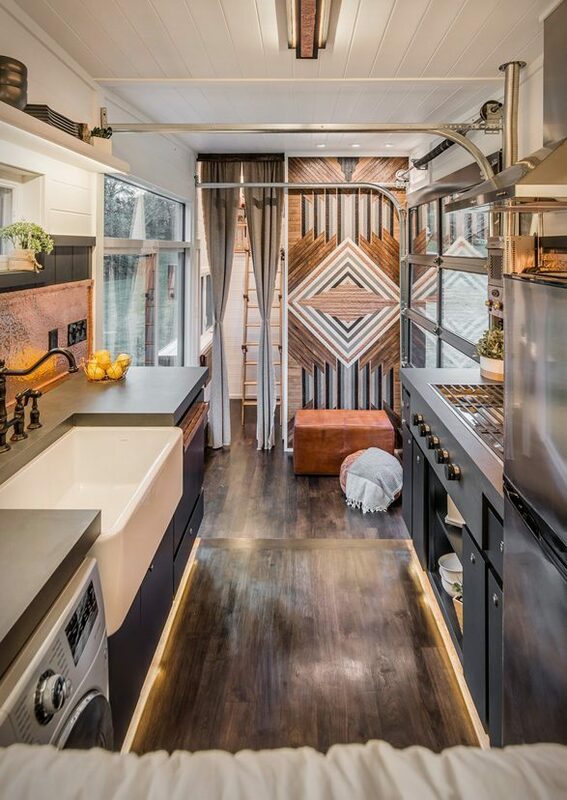 If yes then we have two words for you – Tiny Homes. 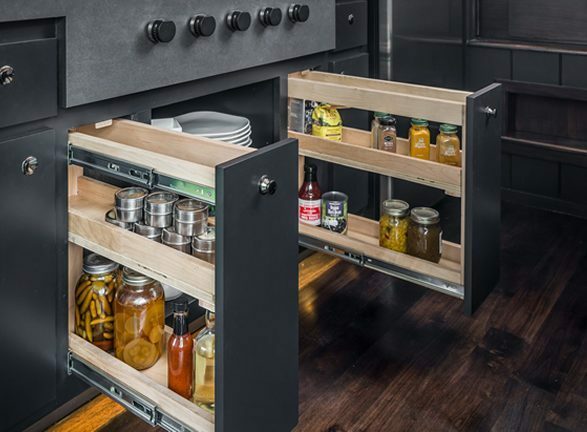 They’re the new alternative living solution for the modern day homeowner and they are absolutely out of this world! 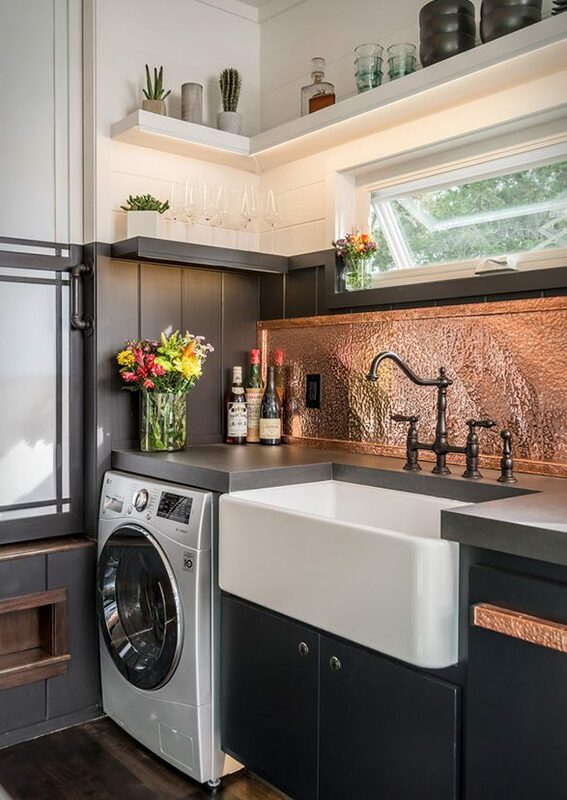 If you like your home comforts but don’t want to be tied down by bricks and mortar then a tiny house is everything that you’ve been looking for and more. 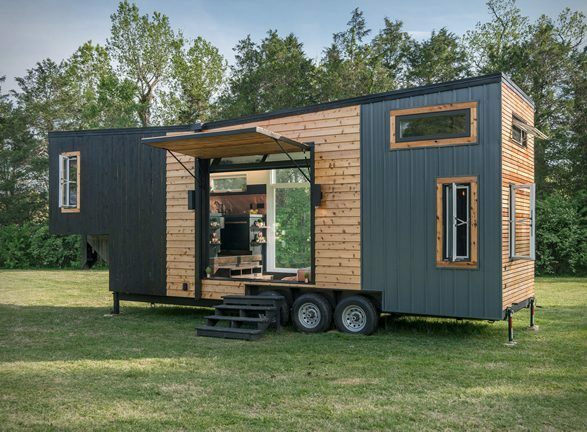 So without further ado, let’s take a look at the Escher Tiny Home! 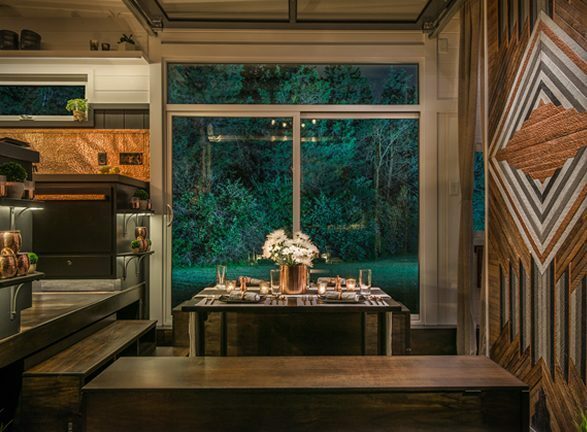 I know that we all think campers are rolling homes, but if you want a luxury forest home then the Escher is the only thing that should be on your wish list. Now I know that I’ve called the Escher a tiny house, but if you compare it to the tiny eco house that we covered a few weeks back then the Escher is an alternative living mansion! 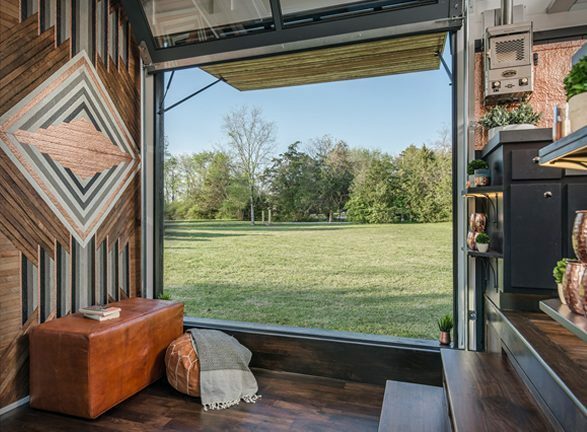 This tiny house might be big, but it’s still made from eco friendly and recycled materials. 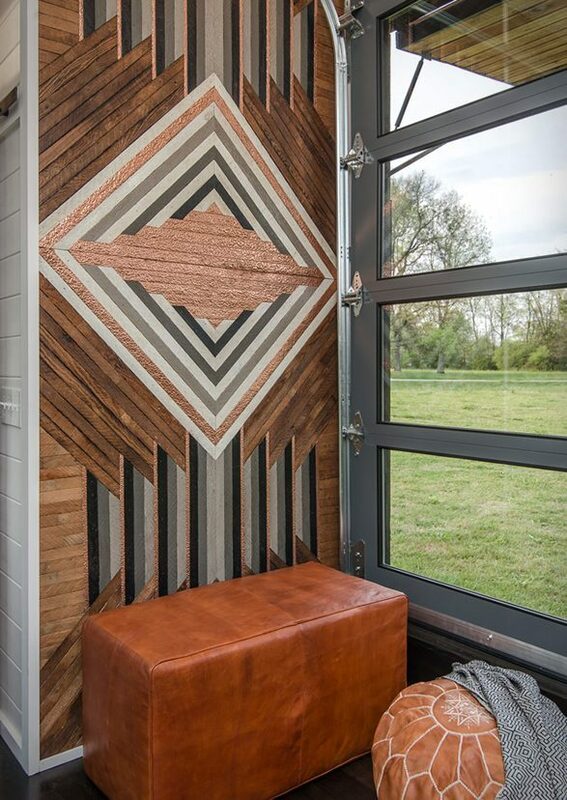 The Escher is made up from reclaimed barn wood, old recycled subway tiles and hardwood floors. 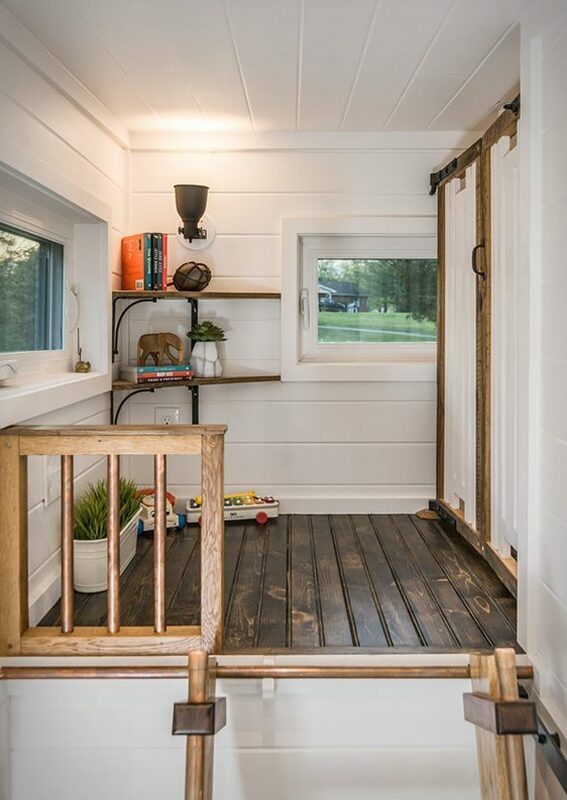 At over 300 square foot it’s a portable tiny home that you could swing a tiger around in, never mind a cat (N.B – this is a saying that my Mum used to describe the size of a room. I love animals and could not lift a tiger if I tried…in fact I’d probably struggle to lift a cat.) Artistic features can be found all the way throughout the Escher, but don’t be fooled into thinking that it’s a gallery that shouldn’t be touched. This is alternative living at its finest. So This Is Alternative Living? Yes it is! You see, living off the grid doesn’t have to be about small spaces and carrying water from local parks (if you want to know how I get on in 80 square feet then check out my article on UK Van Life). The Escher has a massive reverse drawbridge style door that doubles up as an amazing natural painting – if you get bored of the art then you can move on to the next destination! There’s also another huge window on the other side of the house, so you’ll never be short of light or things to look at! 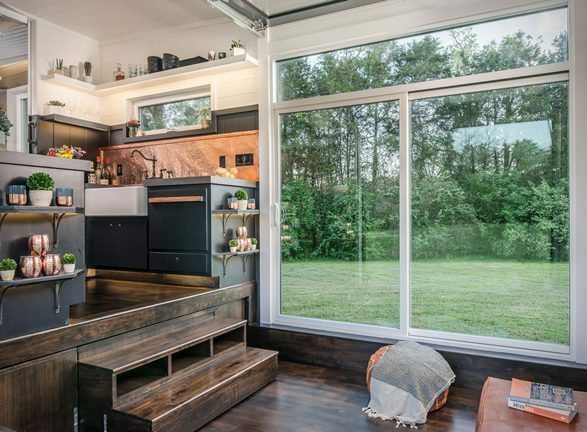 What’s Inside This Tiny House? Alternative living is all about going against the grain, and there’s plenty of interesting grain patterns in these hardwood floors and bits of old barn timber. 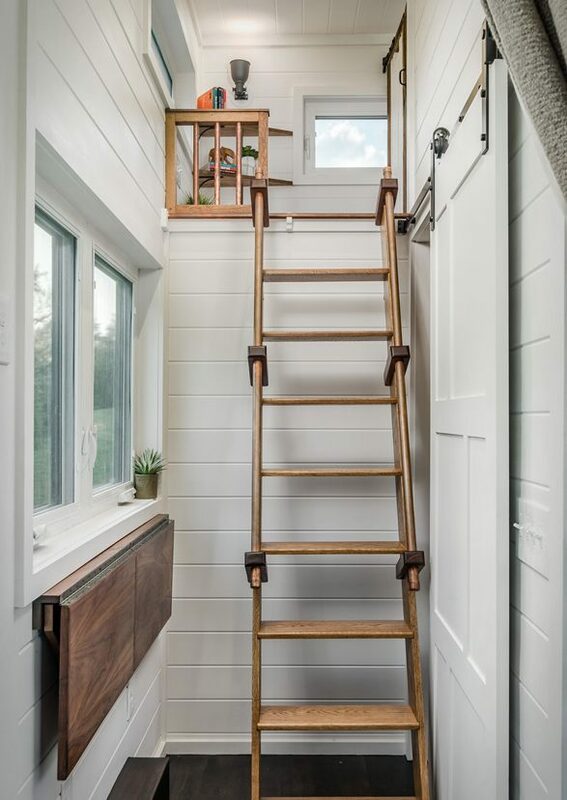 Wood plays a strong part in the look of this off grid home; from the storage steps and secret cupboards to the master bedroom and living room, each area has been perfectly crafted to create a calming space that you’ll never want to leave. 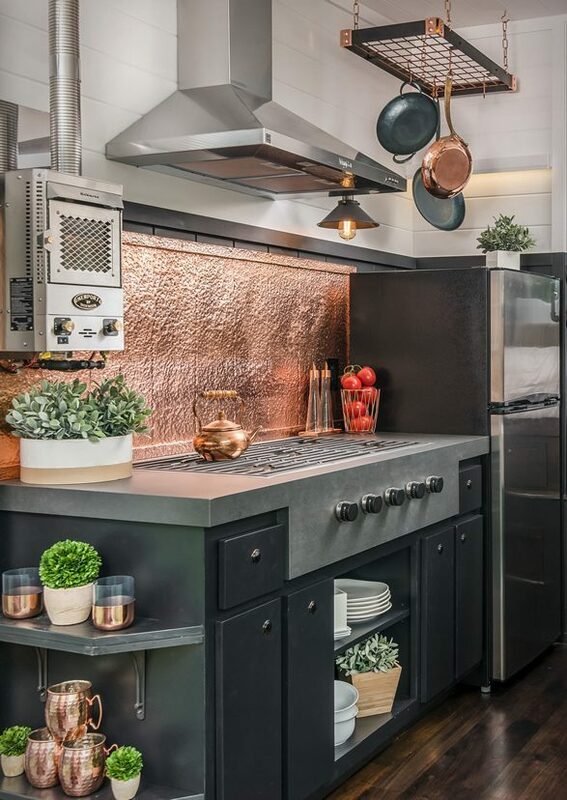 The impressive kitchen area has a five hob burner, so you won’t be fighting for space with your camping buddies, and the extra shelving and storage space really makes the space feel extra homely. And don’t worry if your alternative living ideas still include a cold pack of beers and some prime cut ribs or juicy jackfruits, because there’s a full sized fridge freezer in the Escher as well as a belfast sink, washing machine, and an extractor fan over the cooker for when you inevitably burn your meal through being in such a relaxed state. They say that the best examples of alternative living know how to utilise space, and the Escher is no exception. 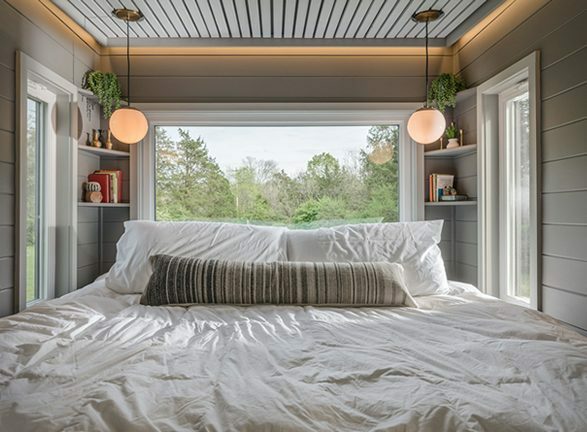 This king-size master bed is built on a platform that raises with the house’s hydraulic shocks – another clever example of why tiny houses rule. The master bedroom is light and airy and even comes with home furnishings like lamp shades and shelves for your van life journals. There’s also a second bedroom/office space that can be reached by a folding ladder. Now you can work in peace without the rest of the family coming up to bother you – being anti-social never looked cooler. 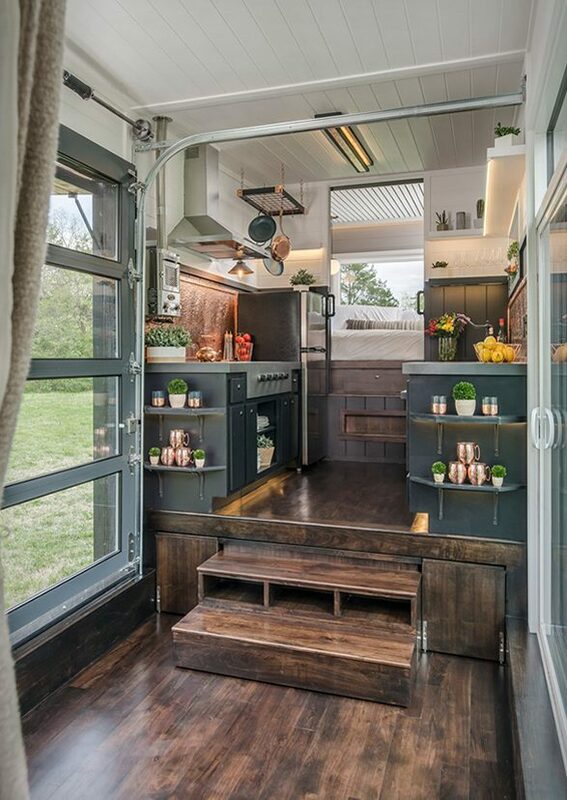 Not with the bathroom space that this tiny house has got! 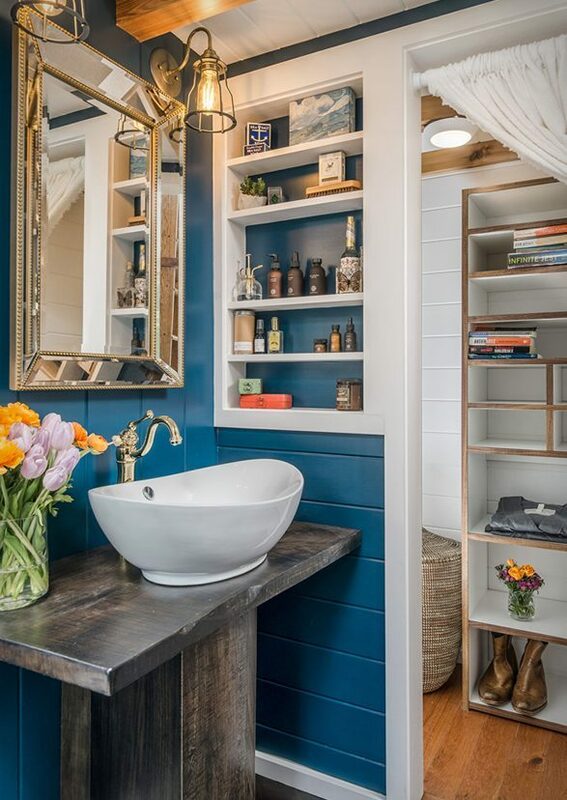 Theres a washroom with sink and toilet, complete with all of the shelf space that you could possibly need for your balms, scents and oils (and that’s just for your beard), and the obligatory book shelf for ‘toilet literature’. 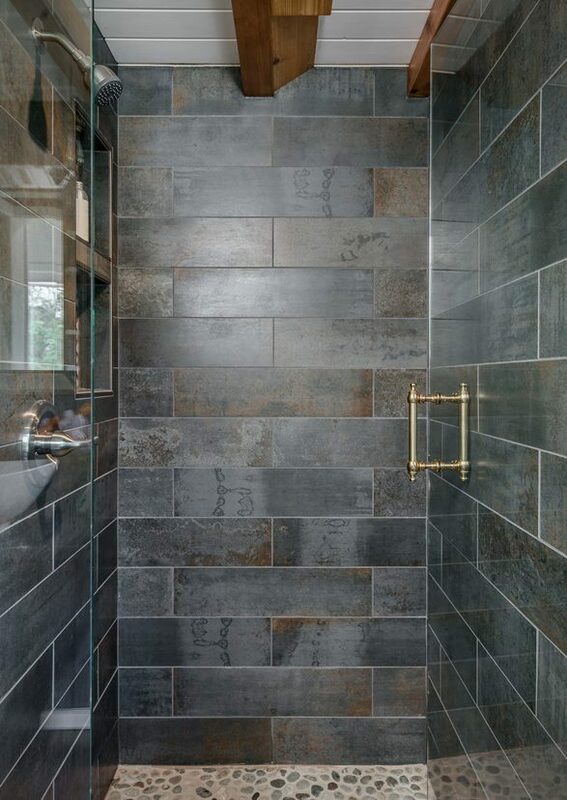 The shower wet room looks mega stylish too, utilising the wooden beam theme that runs through the rest of the house and making a feature of the easy wipe down tiles that compliment the overall look. Check out that door handle too; now you can feel as though you’re walking into your own castle every time you have a shower. They should name this house The EPIC Escher because of how unbelievably awesome it is both inside and out. 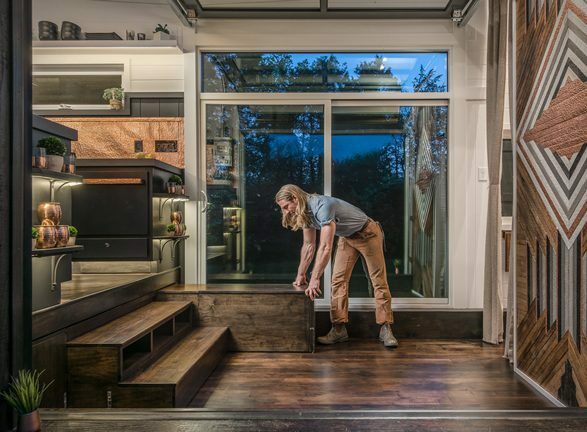 These tiny house articles really excite us because there’s so much happening in the world of alternative living right now, and the Escher proves that a portable home doesn’t have to be small, simple or devoid of character. The woodwork patterns and designs in the Escher are completely off the scale, and both the function and form of the build have been so cleverly thought out that you couldn’t fault any part of this house if you tried. 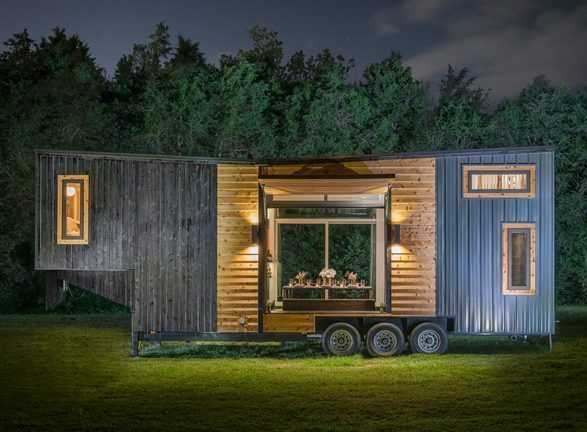 Visit the New Frontier Tiny Homes website to find out more about the Escher and to learn how you can get one of your own! Travelling the world alone? This Off Grid Female Vanlifer shows you how. Looking for adventure? Our Van Life Scandinavia guide will blow your mind. 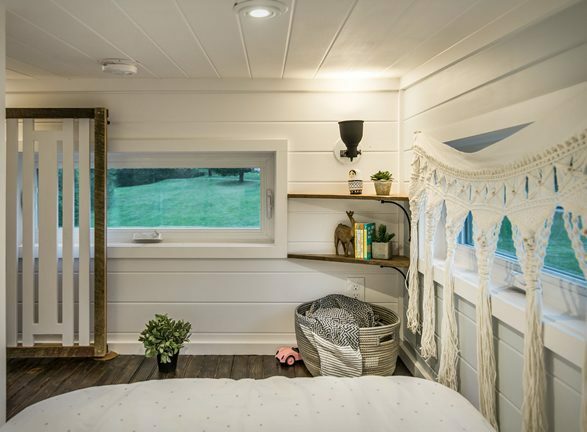 Want to see more tiny homes? Check out the Caravanboat! Join the Van Clan on Facebook, Twitter and Instagram for more Tiny Eco Houses and Van Life Stories!